Chalk Sound offer truly amazing turquoise and blue hues. A highly beautiful turquoise lagoon, it’s definitely worth driving down the long and twisty Chalk Sound Drive for the views. Unfortunately, unsightly development and a total lack of scenic overlooks detract from the experience. The tiny cays of Chalk Sound. 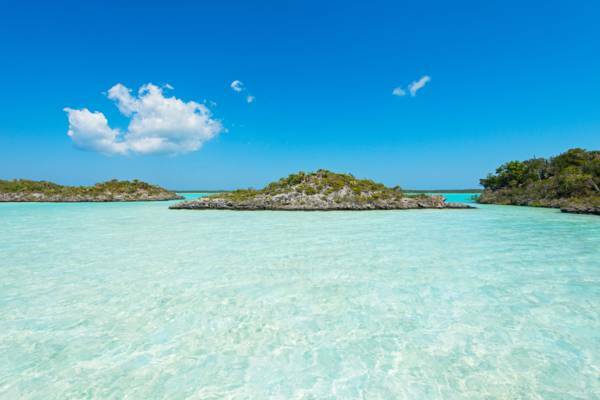 Chalk Sound is a highly scenic natural lagoon on the southwest of Providenciales. This national park features shallow and brilliant turquoise water with hundreds of small rocky islands. 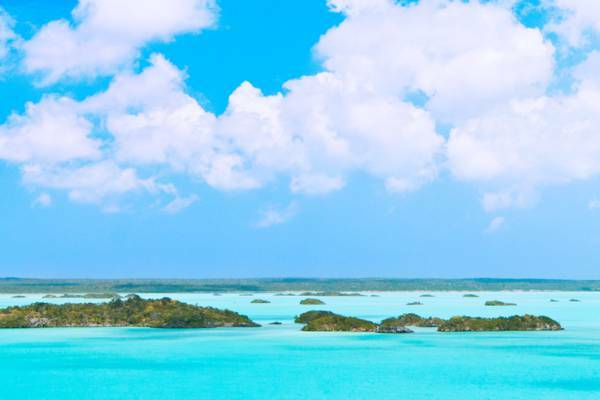 Chalk Sound is nearly landlocked, yet a winding channel does connect it to the ocean and Caicos Banks off the south of Providenciales. Because of Chalk Sound’s protected status as a national park, powered watercraft use is prohibited. The main attraction for most visitors is sightseeing by road on the southern side, or as a kayaking and paddle boarding destination. The water in Chalk Sound is clean and algae-free. The incredible turquoise hues are created by refraction of sunlight off the fine limestone sand and particles of the area. Chalk Sound is also used as the name for the residential area of Chalk Sound. Most of the water in Chalk Sound is quite shallow, often less than five feet. Nearly all of the islands with a decent amount of vegetation have Turks and Caicos Rock Iguanas. These large lizards eke out an existence by foraging for fruits, plants, prickly pear cactuses and the occasional insect. Unlike the iguanas found on the other islands in the country which dig burrows in the sand, the iguanas on the Chalk Sound islands make their homes by cleaning out the existing holes and crevices in the rock. Bonefish and barracudas are common in the water, and stingrays and small lemon sharks can occasionally be sighted. Bird life isn’t as abundant here as at some of the other wetland areas in the country, but the far western side of the lagoon at times can have large numbers gulls and terns, and some herons. The coasts of Chalk Sound feature what is referred to locally as ironshore, which is weathered and intricate marine limestone with a jagged and varied surface. This exposed rock also exhibits countless numbers of miniature Karst-process features such as small sink hole and caves. Unfortunately, no provisions have been made for designated scenic overlooks, public parking, or launching areas for kayaks in Chalk Sound, so it can be difficult to really appreciate the area. Over the years, uncoordinated development and clear cut bulldozing of lots has also greatly diminished the natural beauty of Chalk Sound. Much of the coastline in Chalk Sound consists of sharp limestone formations. Although not inside the national park, the scenic and sheltered Sapodilla Bay Beach and Taylor Bay Beach are found in the greater Chalk Sound area, and are the only significant beaches nearby. The ocean at these two coasts is shallow, calm, and a little warmer than what’s found at other beaches, which make them an excellent beach for children. To get to Sapodilla Bay Beach, take the first left after turning on to Chalk Sound Drive from South Dock Road. This road is unpaved and will be found about 100 feet down Chalk Sound Drive. Taylor Bay Beach is accessed off of Ocean Point Drive. 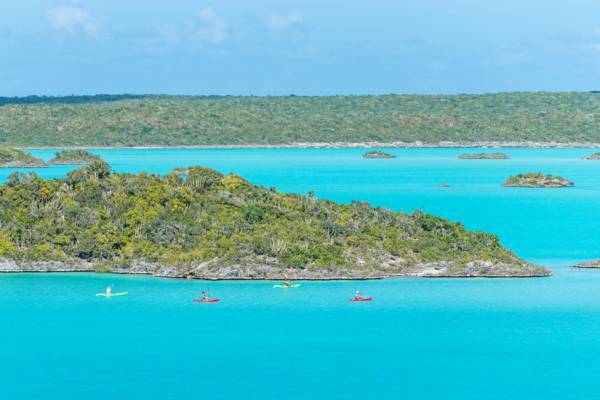 On calm days, Chalk Sound is one of the finest areas in the Turks and Caicos for the paddle water sports, yet on many days, the region may be exposed to the regular tradewinds blowing from the east. Such winds can cause choppy surface conditions at times, and may make for a tiring return journey if you initially head downwind. It’s often most pleasant to begin your journey into the wind, so you don’t have to fight it back. If you are taking your kayak or SUP board to Chalk Sound by car, one of the best launch spots can be found by following Chalk Sound Drive for about three miles, turning right on to Oleander Circle and continuing until you reach the water. 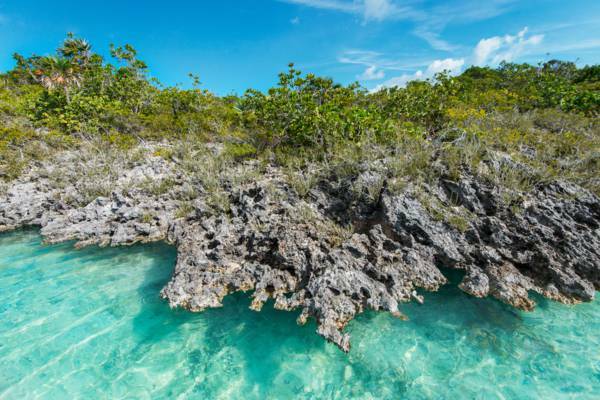 Although the coast here is rocky, this location is near the largest group of small islands in Chalk Sound, along with a blue hole underwater cave system. When launching and moving between the small islands, beware of the razor sharp limestone ironshore formations at the water’s edge as they can easily cause lacerations or damage your watercraft. 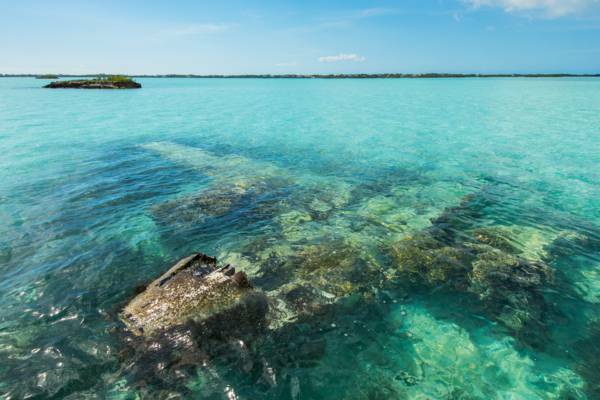 This twin engine airplane wreck is another interesting feature in Chalk Sound. If you are visiting and would like to kayak in Chalk Sound, a few options are available. Las Brisas Restaurant (part of Neptune Villas) is the only business located in Chalk Sound offering kayak rentals, with rates by the hour. Reservations recommended. Most of the vacation villas on the water in Chalk Sound offer complimentary kayak use for guests. If you would prefer to have a guided tour, arrangements can be made through local eco tour business Big Blue Collective. Chalk Sound is a National Park and a protected area. The following guidelines should be followed. The poisonous tree Coral Sumac, known locally as Poisonwood, causes severe rashes if touched. Avoid touching this plant. There are two things to be aware of if you venture into the vegetation around Chalk Sound or on the small islands. Due to the limestone makeup of the area, there are countless small holes and sharp rock formations in the area. Care should be taken to avoid injury. The Coral Sumac, also known as Poisonwood, is a poisonous tree that’s very common in the coastal vegetation found around Chalk Sound. 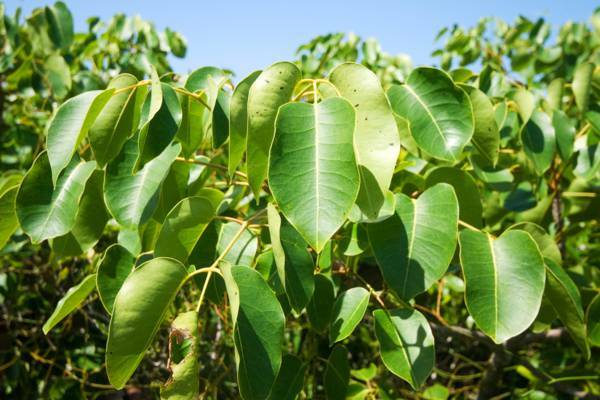 Touching this plant can cause rashes, and any contact with the sap of this tree will result in serious blisters and skin issues.